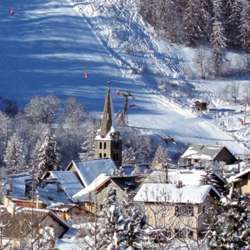 Let's go skiing to France with the ski club Oltreneve ( Protected content )! I've been once, the location is gorgeous with many KMs of ski slopes. Let's jump on the coach at 6.20am! Please, let me have a few days in advance a confirmation on your attendance in order to reserve a seat on the bus. Let's be on time at the bus and don't forget the sun protection cream!! !